At Emmanuel, we value and promote the well-being of our pupils, alongside their achievements in academic learning. Through whole class lessons or small group sessions, we provide opportunities for children to learn about emotions and how to respond to feelings they may have. Further to this, we have assemblies which focus on how we can keep our minds healthy, as well as keeping our bodies healthy, whilst our ‘Emmanuel Families’ ensure that every pupil ‘has a champion’ – a key adult who they can talk to if they have any concerns. In addition, we have a trained ELSA (Emotional Literacy Support Assistant), who works with the Educational Psychology team to support our children’s emotional and mental well-being. 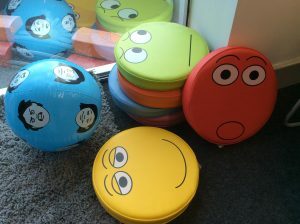 Mrs Watkins provides ‘Let’s Talk’; a support service for our children to help them with their emotions and feelings. Children can access a ‘drop-in’ service or they can put a note in the special Let’s Talk boxes dotted around the school. 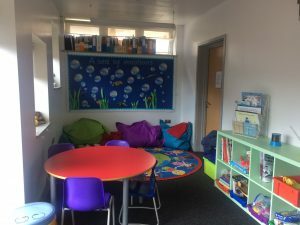 Mrs Watkins also runs a lunch club, which rotates each term, and this provides an area for those children who may find playtimes difficult.